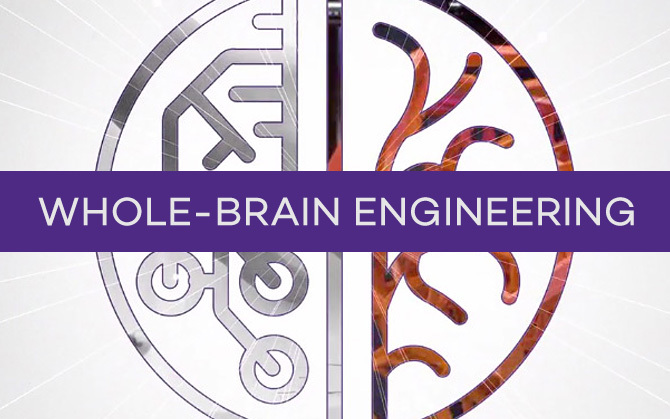 The Department of Biomedical Engineering in the McCormick School of Engineering and Applied Science at Northwestern University is consistently ranked among the top biomedical engineering programs in the country. Our undergraduate, graduate, and certificate programs emphasize fundamental principles in engineering, life sciences, and mathematics, that are applicable to many career paths, including medicine, research, consulting, industry, and academia. Explore special programs in this department, including undergraduate honors, certificates and minors, internship opportunities, and study abroad. We augment the analytical core of engineering with design, entrepreneurship, leadership, personal development, and unusual collaborations to imagine what's next and take the world in a whole new direction.